I was looking through my stash of polishes, which is huge since we make new polishes for every season (& some holidays), and I found Stocking Stuffer hidden away. I knew it would be weird to wear this polish outside of the Christmas season, but I figured I would try and make it work. 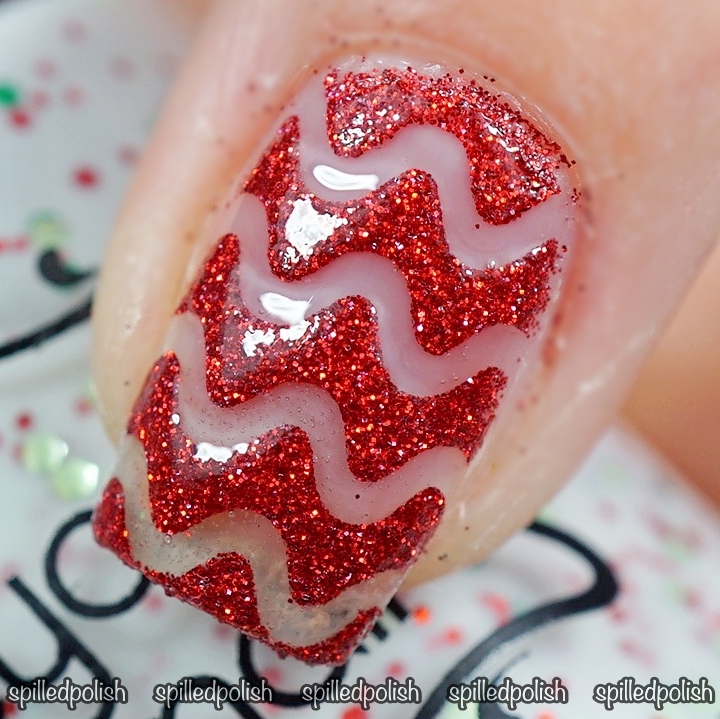 I used three thin coats of Stocking Stuffer on my ring finger, and placed 3-4 thin Wavy Squiggle Nail Guides on my other nails. I sponged on Beyond the Nail - Red Microglitter over each nail & peeled away the nail guides while it was still wet. I topped every nail off with one coat of PRO-FX - Quick Dry Topcoat.